The Clash's eponymous debut album was pure, unadulterated rage and fury, fuelled by passion for both rock 'n roll and revolution. The charging, relentless rhythms, and the primitive threechord rockers, give the album a nervy, vital energy. Rock & Roll is rarely as edgy, invigorating, and sonically revolutionary as The Clash. This debut has remained a classic to this day. 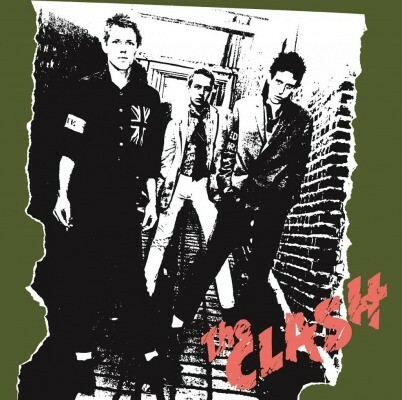 Rebels with a cause, The Clash were already experimenting with reggae, most notably on the Junior Murvin cover "Police & Thieves" and the extraordinary "(White Man) In Hammersmith Palais". Few punk songs express anger quite as bracingly as "White Riot", "I'm So Bored With The U.S.A" and "London's Burning". Newly remastered by The Clash from original tapes to audiophile quality. A 180g audiophile vinyl with a printed inner sleeve.